If your lawn is in poor shape, you may think that you need to pull up everything and start over. 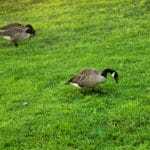 However, there is another option that can help save your lawn called “overseeding.” Overseeding is when grass seeds are placed on top of the grass instead of digging and planting the seeds that way. If your lawn is not in the best shape, overseeding can be a way to salvage your lawn and breathe new life into it. Sometimes overseeding can breathe new life into an aged lawn. 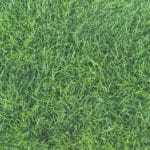 It can produce thicker grass and a lawn to be proud of, and it create thatch that is so dense that it is able to choke out weeds and prevent lawn disease. When you should overseed really depends on your climate type of grass. Ideally you should overseed just before the time your grass has its most growth. 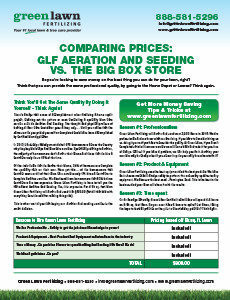 The best time to overseed could be spring or could be late summer to early fall. During these times in the year, the seeds are more likely to implant, grow, and thrive. It is also a time when weeds are less likely to compromise your lawn. Overseeding used in conjunction with fertilizer and aeration can be the best way to revitalize your lawn. What Type of Seeds Should You Use? 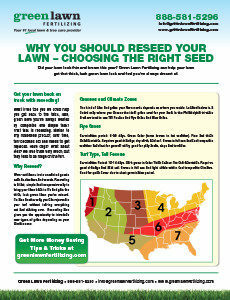 The type of seeds you should use when overseeding really depends on where you are located and what seeds do best in your area of the country. Green Lawn Fertilizing can help you determine what seeds are best for a climate in the Northeastern United States. We are a Philadelphia based company that also services New Jersey and Delaware, and are well versed in what type of seeds work in these environments. You Want to Overseed, Now What? Working with experienced professionals can ensure that you understand why your lawn is in the state that it is in and the best way to go about saving your lawn. 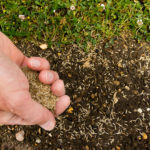 Overseeding may seem like a straight-forward process, but because of the crucial factors like climate and type of seeds, it is important to work with people who know how best to salvage your lawn. 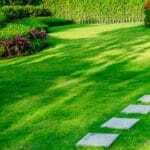 Green Lawn Fertilizing can evaluate your lawn and work with you to determine that best approach for newer and healthier lawn. Give us a call at 888-581-5296!